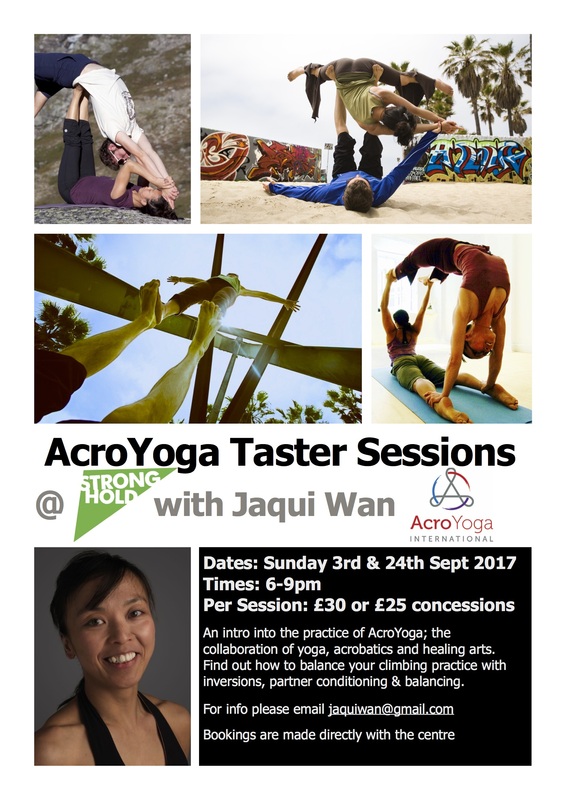 Introducing AcroYoga to Stronghold Climbing Centre with two taster sessions of a practice that brings together yoga asana, partner acrobatics and healing touch. Our intention is to set up regular Sunday night classes from October 2017. In the heart of Shenzhen, the fabulous Focus Yoga will be hosting our AcroYoga Elemental Immersion. Our course offers the full spectrum of the practice that is AcroYoga. 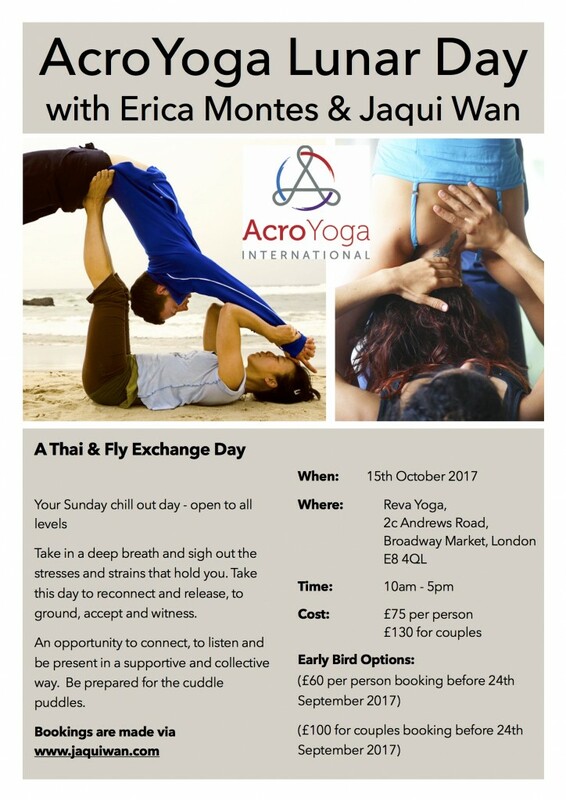 We bring to you the safe, powerful yet playful fun of acrobatics (the solar practice) balanced with the presence, connection and the art of healing touch in Thai-Yoga massage and therapeutic flying (the lunar practice). acrobatic training techniques & flying transitions. Option to join weekend only! This immersion fulfils a prerequisite for AcroYoga Teacher Training applications. Space is limited, book soon to reserve your spot! Please email marc@acroyoga.org for bookings or WeChat acromarcopolo or click here. In the heart of Beijing, the fabulous Flow Creative will be hosting our AcroYoga Elemental Immersion. Our course offers the full spectrum of the practice that is AcroYoga. We bring to you the safe, powerful yet playful fun of acrobatics (the solar practice) balanced with the presence, connection and the art of healing touch in Thai-Yoga massage and therapeutic flying (the lunar practice). 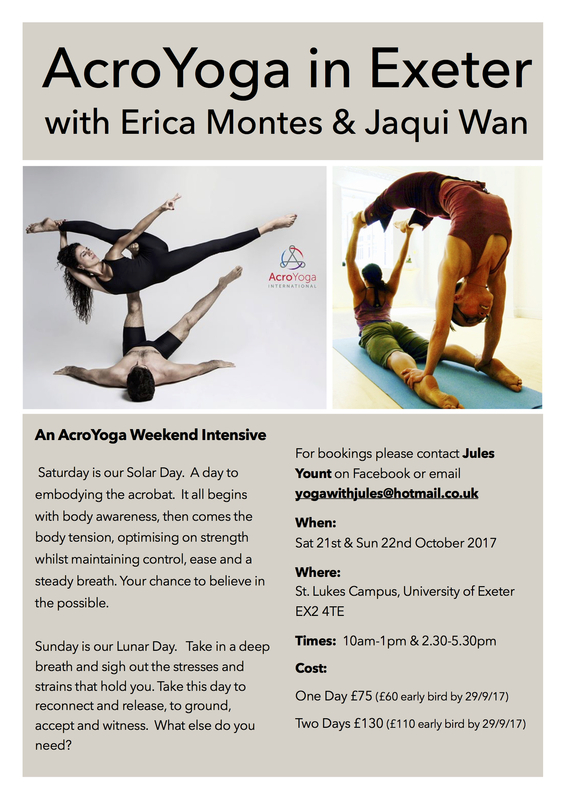 A day to embodying the acrobat – open to all levels. It all begins with body awareness, then comes the body tension, optimising on strength whilst maintaining control, ease and a steady breath. Believe in the possible. old school transitions that are the foundations to enable fluid movement. The afternoon is your chance to get creative and go with the flow. We will present sequences that can be repeated in cycles, reversed, skipped, hopped if not popped. Be prepared to sweat 🙂 We will work progressively, but will give individual groups tasks and exercises that will challenge all levels of experience. Take in a deep breath and sigh out the stresses and strains that hold you. Take this day reconnect, to release, to ground, to accept and witness. work with the breath, gravity, body weight, touch and vibrations to release and unblock. In the afternoon we will introduce flying therapeutics, involving a base and flyer. The base grounds and suspends the flyer with their hands and feet. The passive nature of the flyer enables the base to sculpt the flyer into a variety of shapes that stretch and opens the flyer’s upper body, enabling the potential release of tension and muscular holding patterns.